LinkedIn has evolved into an advertising channel worth considering for your business. In “Using LinkedIn’s Sponsored Updates to Promote your Business,” my article last week, I addressed how to reach a highly targeted group of prospects by inserting your company updates into their personal profile feeds. This form of advertising allows you to get involvement by LinkedIn members directly with your company updates. 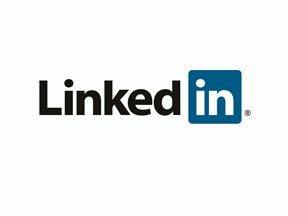 Before that, in “Using LinkedIn to Attract Consumers, Prospects,” I addressed how to utilize your personal profile in LinkedIn to validate your credentials, and thus help your company’s marketing efforts. This article will address LinkedIn advertising options other than Sponsored Updates. LinkedIn ads are managed on a self-service advertising platform that allows you to target your audience through industry, job title or function, seniority and geography — to mention a few targeting filters. Ultimately, you can control your advertising budget based on performance and revise your targeting options. Like many self-service advertising platforms (e.g. Google AdWords), you can generate your desired results if you manage your campaign properly. The LinkedIn ads appear on many different pages, which helps expand your reach through different sources within LinkedIn. Here are some of the areas that ads can appear. Let’s review the members’ home page and where your text ads appear. For example, if you ran Sponsored Updates advertising at the same time that you are running your text ads, your campaigns have a higher probability of being noticed by the LinkedIn member. LinkedIn Ads home page example. Text ads will appear at the top of a member’s home page (shown as 1 in the image above) and in a box down the right column (shown as 2 in the image above) under “Ads You May Be Interested In” with the company logo. Additionally, if you are running image ads your larger banner ad will appear in the right column as well. You need effective ad text copy to be relevant to the target audience with clear and compelling words. Here are few points to consider. Highlight benefits, free trials, promotions, or demos. Human beings are visual. Give them a photo or an image that will get their attention. This image below is an example of an effective ad. Example of an effective LinkedIn ad. Note that the headline — “Need a Corporate Caterer?” — in bold clearly describes the services and focuses the question as the call to action. The description is short enough to indicate what service is being performed, the benefits of affordable prices, and a call to action asking the LinkedIn member to get a free quote. The image is large enough for someone to relate the image to the ad and get someone’s attention. Conversely, here’s an example of a not-so-effective ad. Example of an ineffective LinkedIn ad. The ad’s image, above, is trying to do too much by having the company logo and a photo together in a very small space. If your brand is not as recognizable as, say, Nike, Coca-Cola or the like, then your logo is not really that beneficial. Focus on getting the reader’s attention, instead of your emotional need to put your logo in front of them. Also, the headline in the example above is poor. Not only is it the company name, but it doesn’t identify a product or service the audience may want to consider. The ad description focuses too much on fitting as many services into the small space without a clear benefit. Focusing on the most profitable product or service would be better with a single item. Use additional ads to cover more products or services. To manage the performance of your LinkedIn ads, use the metrics available on LinkedIn and Google Analytics. The performance basics of your LinkedIn Ads, which LinkedIn provides in your Campaign Manager include the following. Impressions. The total number of times your ad was shown to LinkedIn members. Clicks. How many clicks your ad receives. Click-through-rate. The ratio between the clicks to the impressions. The higher this number the better. Leads. 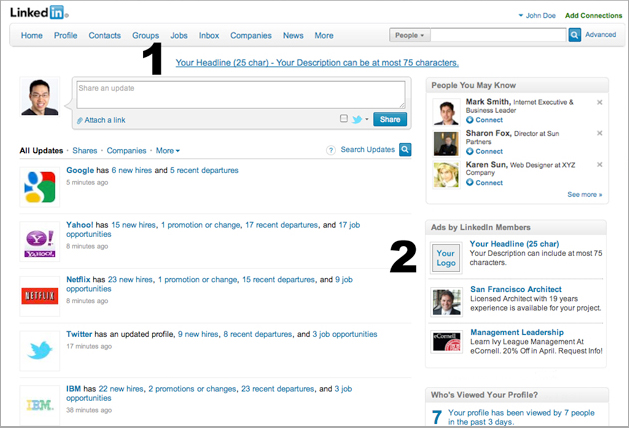 In the LinkedIn campaign manager you will see a section for leads generated from your ad campaign. Here are suggestions for improving the performance of your LinkedIn ads. Use different ad variations. Different people respond to different types of text copy, images and graphics. Narrow or change your targeting options. Change the landing page where you are sending people on your website. If the landing page is not as effective as it could be, your Google Analytics will indicate this by reporting a higher bounce rate on that page.